​It appears Carolina Panthers owner David Tepper isn't ruling out an Andrew Luck-style recovery for former MVP quarterback ​Cam Newton. According to ESPN Insider Adam Schefter, the Panthers are keeping all options open regarding the health of their franchise QB, this includes potentially sitting out 2019. After undergoing shoulder surgery last year, Newton suffered another injury in Week 6 and was clearly never the same after a crushing hit from Steelers outside linebacker ​T.J. Watt in a blowout loss to Pittsburgh Nov. 8. Tepper, a former minority owner of the Steelers, has taken his share of public shots at President Trump, once calling him a "demented, narcissistic scumbag." The new-age owner had no problem signing former 49ers safety Eric Reid when Carolina needed help in the defensive backfield, which begs the question: Should the Panthers give quarterback Colin Kaepernick a chance? The Charlotte Observer has reported that backup quarterback Kyle Allen's strong start in the final week of the season has the Panthers looking at him as a possible fill-in, while also entertaining the idea of veteran quarterbacks Nick Foles, Joe Flacco and Ryan Fitzpatrick. 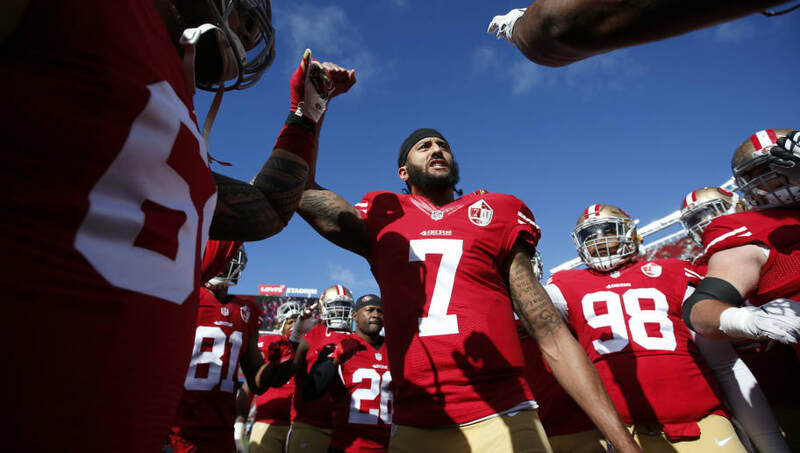 Kaepernick has not played under center in the NFL since Week 17 of the 2016 season after being released by the 49ers following his peaceful protest against police brutality. In his last season, Kaep threw for 2,241 yards and 16 touchdowns, with only 4 interceptions. He also added nearly 600 yards on the ground and two more rushing scores. Perhaps Tepper could entertain the idea of Kaepernick supplementing his injured dual-threat QB in a world where Josh Johnson, Mark Sanchez, and ​Nathan Peterman are collecting game checks and sold to fans as their respective team's best option to win. If Carolina is forced to shut Superman down, maybe Kaepernick could save the day for the Panthers. He's certainly worth a look.